The attack took place at the building where high school graduates were preparing to sit university entrance exams in Shia area Dasht-i Barcha located in west side of Kabul. On Wednesday afternoon of 15 August 2018, a stranger entered high school and ran away toward upper floors and finally he committed a suicide bombing. According to Afghanistan's health ministry, 34 students in 20 years old were killed and 67  were wounded. The Washington Post reported that this attack at the Mowud Education Center in Shia region of Kabul was one of "the deadliest attacks in the city in the past several years". The responsibility for the suicide bombing has been attributed to ISIS forces. Also, the bomber who carried out the attack in Shia area in Kabul was known as "martyrdom-seeking brother Abdul Raouf al-Khorasani". Zabihullah Mujahid, the Taliban spokesman, disclaimed any involvement by the group in the Kabul attack. He added such as these suicides was done by ISIS in the Shia region and ethnic Hazara area of Kabul at mosques and shrines and other places. 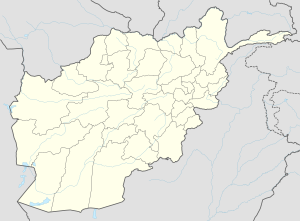 Also on 15 August nine policemen and 35 soldiers were killed by another attack in the northern province of Baghlan. ^ a b c staff and agencies. "Isis claims responsibility for Afghanistan suicide bombing that killed 34 students". independent. ^ a b c d Staff, Writer. "Dozens killed as bomber hits college students in Afghan capital". cbsnews. Retrieved 15 August 2018. ^ a b c Constable, Pamela; Hassan, Sharif. "'It was a horror scene': Scores of Afghan students killed in Kabul suicide bombing aimed at minority Shiites". washingtonpost. Retrieved 15 August 2018. ^ Constable, Pamela. "Bombing of student center in Kabul highlights threat to minority Shiite youth". washingtonpost. Retrieved 16 August 2018. ^ "Kabul suicide bomber kills 48 in tuition centre attack". BBC News. 15 August 2018. Retrieved 11 October 2018. This page was last edited on 8 December 2018, at 14:19 (UTC).